This deck's average CMC is very high. You're for sure going to need more ramp, which for Boros mostly means mana rocks. 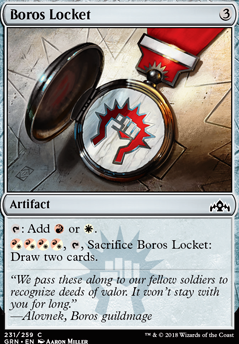 I'd recommend Boros Signet , Fellwar Stone , Mind Stone , Star Compass , and Boros Locket . Some cards you could consider cutting are Basandra, Battle Seraph , who shuts down all of your combat tricks, Light of the Legion , whose mentor ability is almost totally irrelevant, and Victory's Herald , who gives flying to a bunch of creatures that have already got it. You should also try to go up to closer to 37 lands with this curve. I'm just going to make suggestions for cutting and adding, but they're more suggestions on what I would do if I was building it. OrientSuperior might have some good feedback. He's good at going wide and tribal too. Not a lot to say here. I'd probably cut some of your higher CMC creatures for more low CMC knights. You probably want to treat your dragons like my Sunhome's Finest deck treats angels: sprinkle them in there, but don't make them a main attraction. Their CMC is usually fairly high. 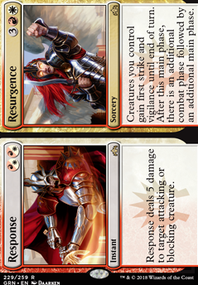 Sunhome's finest generates a lot of 1/1's to bide time for a big angel to come out, but Knight's aren't quite as good at that as soldiers are, I'd add some more mana rocks and cut a big boy or two. Right now you're running about 22 Knights out of your 29 creatures, with three ways to get a limited number of tokens from what I'm seeing. You might consider cutting Door of Destinies if you end up being more of a hybrid Knight-Dragon tribal, otherwise it's probably fine for now. I'd probably cut some equipment for commander protection and mana rocks. Main Cuts: I'd cut these for sure, but there are a few more I'd lop off for other things. Bloodforged Battle-Axe: It's a mana sink and you're going to be strapped for mana in Boros. Godsend: This card isn't very useful in commander. If you exile a card it's gone, since they can't run multiple copies. If you hit their commander they'll just return it to their command zone instead of exiling it. Sunforger: It's really just not that great. It's a mana sink and I actually cut it from my own deck. Extra Cuts: I'd probably cut Forebear's Blade, Mind's Eye, and Obelisk of Urd as well. Obelisk is worse than Door of Destinies, so keep that latter if you're cutting one of the two. 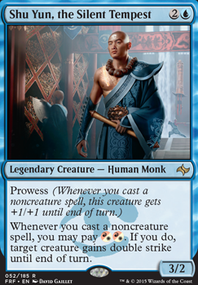 Mind's Eye is a good card, but I barely manage to take advantage of that in a mono-White deck crafted to ramp fast. Forebear's Blade is just so-so, it's not bad, but it's not great. Add: You could consider Pearl Medallion or Ruby Medallion. I'd probably forgo both of those for what's below or maybe even a Boros Locket. MindStone: Great mana rock with draw in case you really need it. Swiftfoot Boots: You've got two commanders. Run swifties and greaves? Worn Powerstone: It's a tap for two mana rock. Could be more than worth it for you. I don't have a lot to add here. I'd probably want more instants in general, and I'm not a huge fan of Dawn Charm. I'd probably cut Steelshaper's Gift for Blasphemous Act. 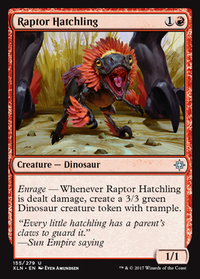 It's half the price and a game winner if you manage to make your creatures indestructible, even for a turn. I would cut Arch of Orazca and replace it with Terrain Generator. I'd find space somewhere in your artifacts to cut a card and add in a Reliquary Tower too. The 36th land is more important for your colors and you're more than likely to have a build up of cards with a big CMC in your hand at some point. Arch is a cool land, but you're going to rarely have that much mana on hand outside Green. If you're super set on having a card draw outlet like that, go for the Vanquisher's Banner. I'd probably cut Quest for the Holy Relic for a copy of Honor of the Pure, but that's just me. I feel like the deck is built to go tall, but the tribe is made to go wide. If your deck wins because of commander damage, it's probably because you have two commanders, not necessarily because one of them got beefy. 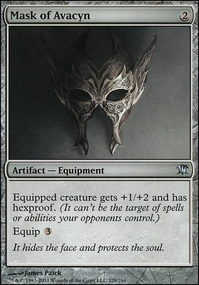 That's exactly some of what I was looking for, I just can't decide if I want to cut a chunk of the artifacts (such as Blinkmoth Urn, Planar Bridge, Boros Locket ,and Darksteel Ingot. I have been looking around for some red and/or white instant for Sunforger. And I'm need to swap or scrap some of the creatures. (I blanked and forgot about momma Sheoldred, Viscera Seer, and Blood Artist.) And the mana base.